It’s time to whip out classic comfort food recipes once the hot summer temperatures begin to drop. One of the absolute best? A hearty bowl of chili. We love all things chili, and hope you do too. In order to properly celebrate October as National Chili Month, we’ve outlined why we love this classic dish, fun ways to take part in the holiday, and even interesting gifts you can purchase. The first major chili cook-off took place in Terlingua, Texas. It ended in a tie. By the 1920s, chili joints appear throughout the West coast, drastically increasing the popularity of this dish. The San Antonio Chili Stand makes its debut at the Columbian Exposition in Chicago. Immigrants from the Spanish Canary Islands whip up the first batch of chili con carne in America. Once the weather gets colder, many communities host chili cook-offs. Often, cook-offs are held to raise funds for a charitable cause. Taste testing endless amounts of chili while contributing to an excellent cause? Sign us up! Make it a point to cook up a batch of chili at least once a week. With so many variations to try, we promise you won't get bored. Many soup kitchens allow volunteers to host a meal. 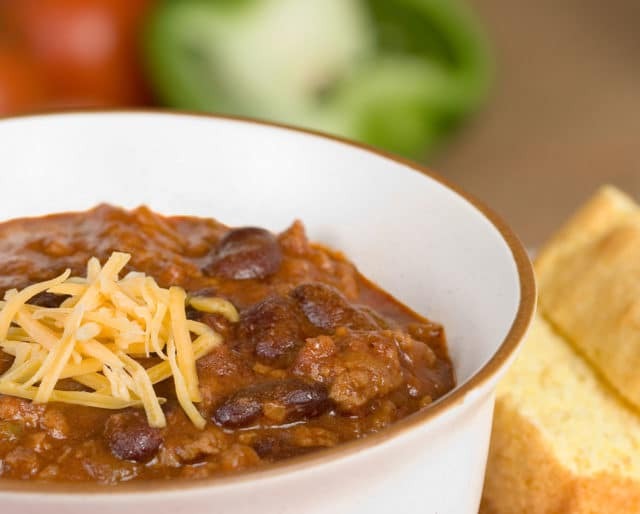 During October, it is a great idea to serve up hearty bowls of chili to members of the community in need. Pair the chili up with a nice thick slice of crusty bread and you have yourself a delicious and affordable meal. According to the International Chili Society, the dish became widely popular during the Gold Rush. President Lyndon B. Johnson was a big fan of chili. All of the fun doesn't have to end on October 31. National Chili Day is observed on the last Thursday in February. Allegedly, some of the last words uttered by Kit Carson were "I wish I had time for just one more bowl of chili." Mac and cheese, fried chicken, grandma's lasagna — all dishes that are commonly associated with classic comfort dishes. Do you know what else fits right in with this category? A big hearty bowl of chili. Every family seems to have its own secret recipe for the best chili, and we personally volunteer to try out all of these delicious bowls of goodness. Comfort food overload. Sure, there's the classic tomato-based chili with ground meat, but have you ever tried another variation? A vegetarian chili is a great dish to make for meatless Monday, and white chicken chilis are always special. When it comes to chili variations, the possibilities are seemingly endless, so feel free to get a little creative! When cleaning up a kitchen full of dishes just doesn't appeal to you, it's time to whip up a one pot meal. Chili is one of those entrees where everything can be thrown together in a big soup pot and left to simmer all day long as you go about your business. The ease of this dish makes chili a perfect choice for busy families — or anyone who doesn't want to spend hours cooking.